The most successful sailor in the world currently, Peter Burling has been busy recently. Since impressing everyone through winning the 35th America's Cup in cool as a cucumber style in Bermuda, ‘pistol Pete’ has finished second in the 240 boat fleet at the Moth Worlds on Lake Garda and since Sunday has been competing on a very different vessel - the 115ft Baltic-built Nikata, the largest yacht in this year’s Rolex Fastnet Race. So has the double Olympic 49er medallist, former Moth World Champion and America’s Cup winning helm sailed offshore before? “I’ve done a little bit,” says the New Zealander modestly. Deep down his sailing resume is New Zealand’s top offshore race, the Coastal Classic and also the Rolex Sydney Hobart. 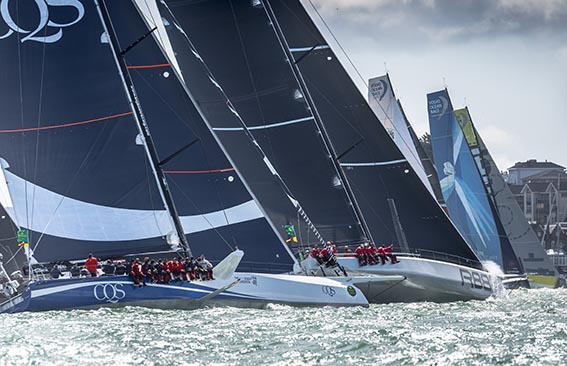 Aside from the Volvo Ocean Race seven, another tight competition in the Rolex Fastnet Race has been between the twenty six Class40s racing. These boats are designed to a box rule created in France in the early 2000s. With more than 150 examples launched in the last 13 years, it is also highly international with boats competing from crews as far afield as Oman, South Africa and Japan, ranging from professionals (both old timers and budding youngsters) to enthusiastic amateurs. 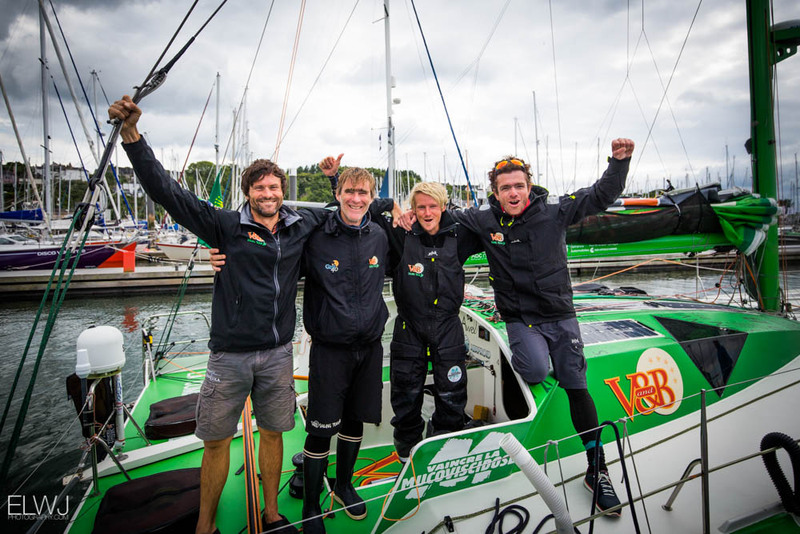 The Class40 leaders arrived in Plymouth this afternoon, with victory finally going to V and B skippered by Frenchman Maxime Sorel. He arrived at 14:32 after 3 days 3 hours and 22 minutes. Some of the world’s most high profile ocean racing yachts arrived in Plymouth in the early hours of this morning at the end of the Rolex Fastnet Race. Following Rambler, Ludde Ingvall’s 100ft maxi CQS and Nikata, (at 115ft LOA, the longest yacht in the race), came the fleet of seven identical VO65s competing on Leg Zero of the 2017-18 Volvo Ocean Race. However, in an exceptional performance, arriving before all of these fully crewed heavyweights was a nimble French two handed IMOCA 60. American George David’s Rambler 88 arrived in Plymouth to claim monohull line honours. The silver maxi crossed the finish line off Plymouth breakwater at 22:14:21 BST in a time of 2 days 9 hours 34 minutes and 21 seconds. This was more than six hours faster than they had managed in 2015 when they ghosted in just four minutes astern of Jim Clark’s 100ft maxi, Comanche. But it was considerably outside of the monohull race record of 1 day 18 hours and 39 minutes, set in 2011 by the Ian Walker-skippered VO70, Abu Dhabi Ocean Racing. For a lengthy period this morning Rambler 88 appeared set to achieve ‘the double’ ie win both line honours and overall on handicap. However she has since been displaced from the top spot overall under IRC by the 115ft giant, Nikata and Ron O’Hanley’s Cookson 50 Privateer. “You can always hope, but you can never tell, especially when you have boats out there for three or four more days and the weather may change and tomorrow it’ll blow harder and they’ll come up behind us,” observed David. The first monohull arrivals are due into Plymouth tonight with George David’s Rambler 88 leading the charge, rounding Bishop Rock, the mandatory mark of the course southwest of the Scilly Isles, at 1515 BST. But the hottest contest in this group is between the seven one design Volvo Open 65s. 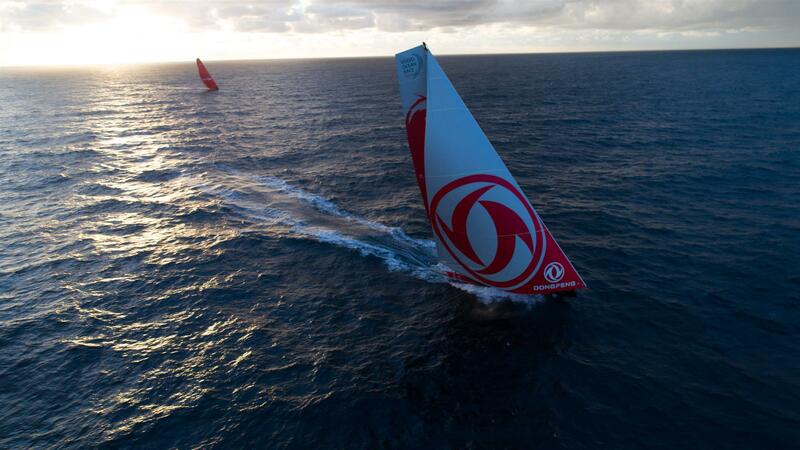 They finally reached the Fastnet Rock at around breakfast time this morning with the Chinese entry Dongfeng Race Team in first place, making the turn south at 0758, followed by Team Akzonobel, MAPFRE, Sun Hung Kai Scallywag, Team Brunel, Vestas 11th Hour Racing and with the Dee Caffari-skippered Turn the Tide on Plastic bringing up the rear almost an hour later. 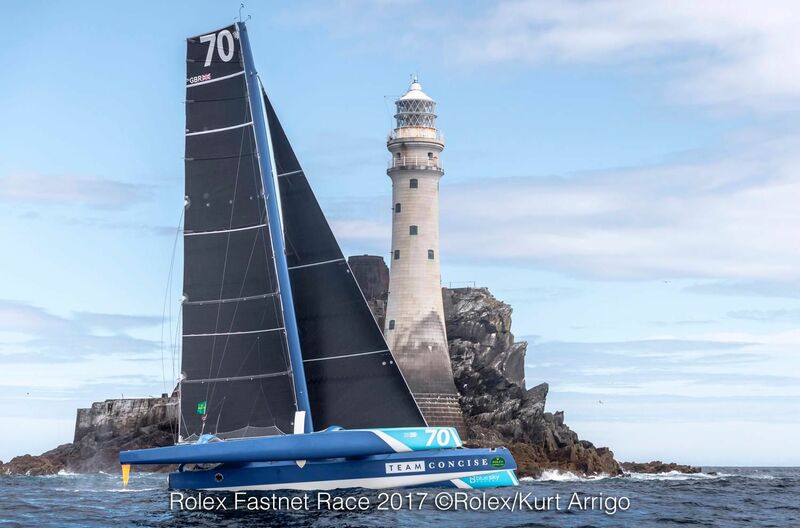 At 15:49:37 BST Tony Lawson’s MOD70 trimaran Concise 10 became the first boat to round the Fastnet Rock off southwest Ireland. At the time the next boat in the race, George David’s Rambler 88, was 111 miles astern. 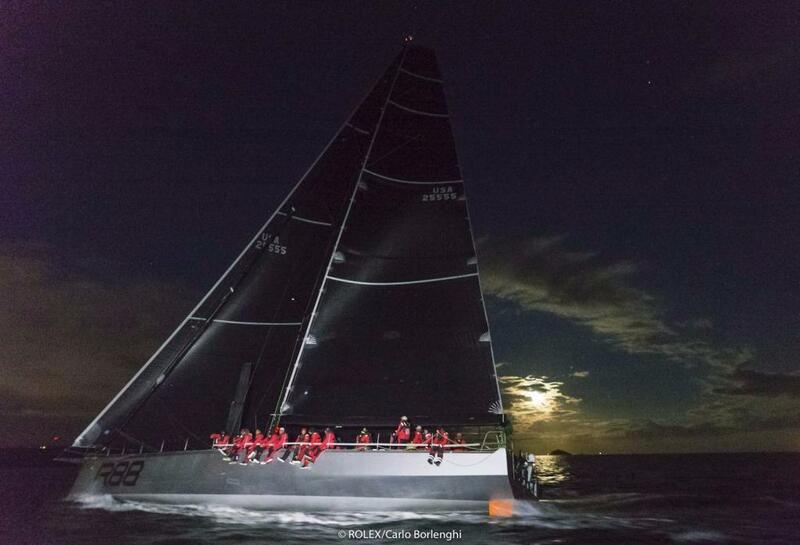 However thanks to their upwind passage, their time of 28 hours 49 minutes was well outside of record to the Rock of 22 hours and 21 minutes, set in 2011 by the Loick Peyron-skippered 40m Banque Populaire Maxi trimaran. The Solent laid on ‘classic’ conditions for the start of the Royal Ocean Racing Club’s 47th Rolex Fastnet Race. In brilliant sunshine and with brisk westerly winds gusting up to 20 knots, the giant fleet tacked up the western Solent before compressing through the usual bottleneck at Hurst Narrows. A record-sized fleet of 368 boats started the race, 12 more than two years ago, confirming the Rolex Fastnet Race’s position as the world’s largest offshore yacht race. 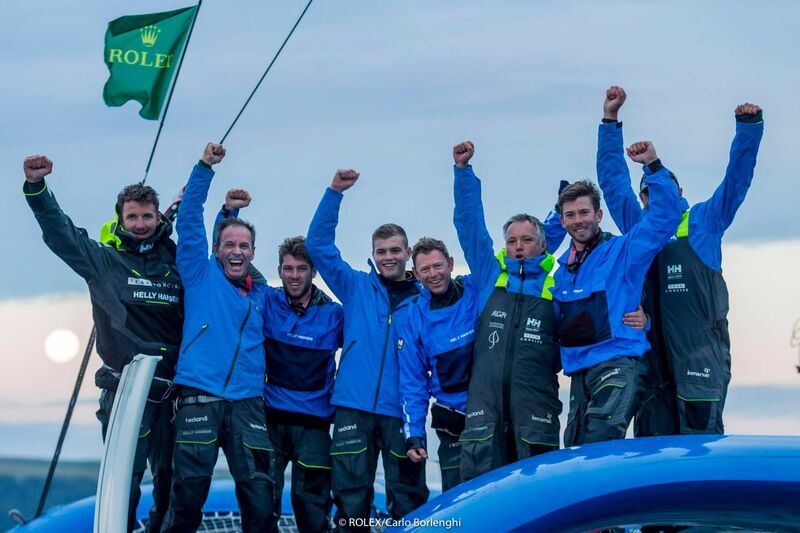 The first start got underway at 11:00 BST for the nine multihulls and within minutes, the blue three-hulled streak that is Concise 10 had pulled out a lead, frequently heeling to an alarming degree, just one hull immersed. By the time IRC One was starting at 12:20 Tony Lawson’s MOD 70, skippered by Ned Collier Wakefield, was already off Poole. Crewman Paul Larsen, who five years ago became the world’s fastest sailor setting a world record of 65.45 knots, reported Concise 10 was sailing under reefed mainsail and staysail. “We’re making 20 knots tacking past Poole and just dropping into the watch system. Glamour start conditions in the Solent. I can just see the next boats clearing Hurst Castle.” However Larsen warned that unless the wind freed up, there was little chance for them to break the multihull race record. By 1500 Concise 10 was already level with Portland Bill. 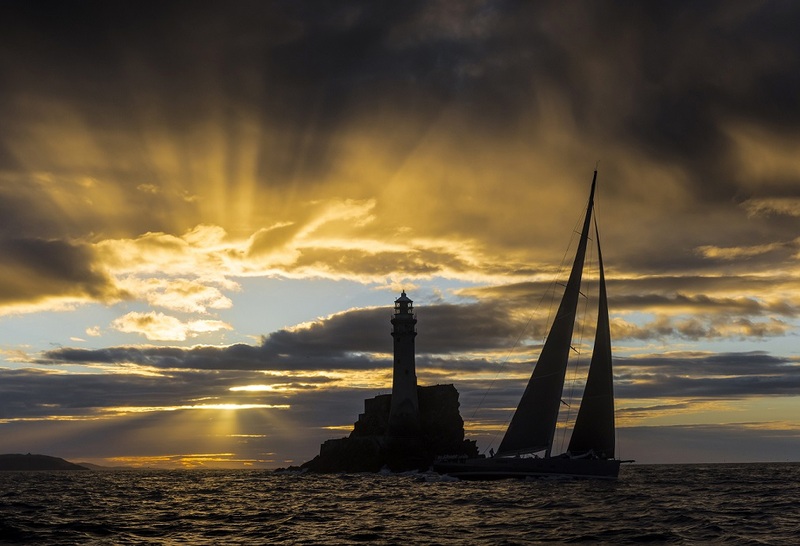 The eve of the Rolex Fastnet Race is a nervous time for the 2,700 sailors about to embark on this 605-mile offshore classic. For the competitors gathered in Cowes on the Isle of Wight, a few are out to win one of the most coveted trophies in ocean racing, the Fastnet Challenge Cup. However for most of the crews on the 368 participating boats from 29 nations it will be sufficient to make it safely to the finish in Plymouth a few days from now. The start sequence begins with the first warning signal at 10.50 BST. The sequence lasts for two hours from 1100 to 1240. The best vantage points of the start will be along Cowes Green and Egypt Esplanade on the Isle of Wight. 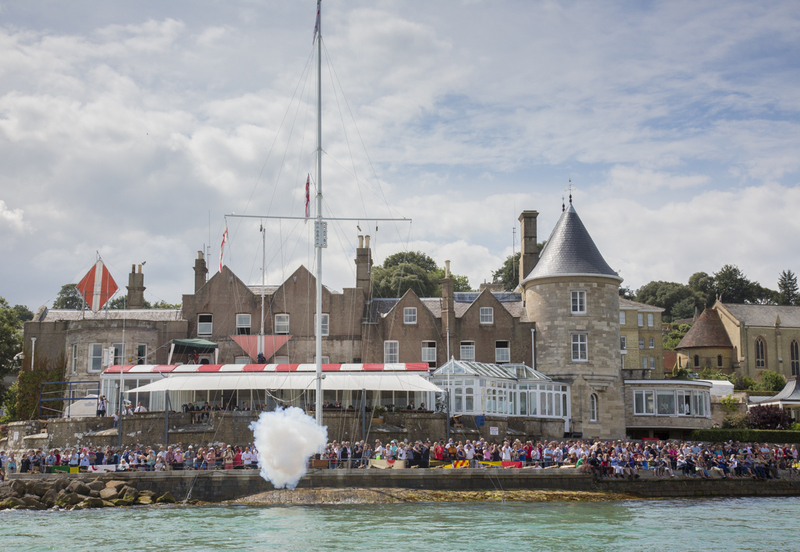 Spectators will also be able to listen to the live commentary on the speakers along Cowes Parade and The Green. As the fleet funnel out of the Solent there will also be a good chance to see the yachts from Yarmouth on the Isle of Wight, and Hurst Castle on the mainland. Further along the coast, Anvil Point, St Alban's Head and Portland Bill should also give a good view of the race on its outbound leg. Fastnet TV will cover the entire start sequence live. It will be streamed online from the official race website and will be shown around Cowes on big and small screens. Live Fastnet Radio commentary will be broadcasting the start on 87.7FM on Sunday and will be simulcast in Plymouth on 87.9FM. The Royal Ocean Racing Club will cover the entire start sequence on Facebook LIVE. 'Like' our page for the latest updates, photos, press releases and live video. The easiest way to follow the fleet is via the RORC’s web site. Here you can find the latest news and images as well as blogs from the boats, web updates and morning and afternoon race reports during the entire race. Track the Rolex Fastnet Race fleet online with the YB Tracker Player. View by class or select your favourites and check out boat speed and weather conditions in real time. Read the social media feed and see the live leaderboard. 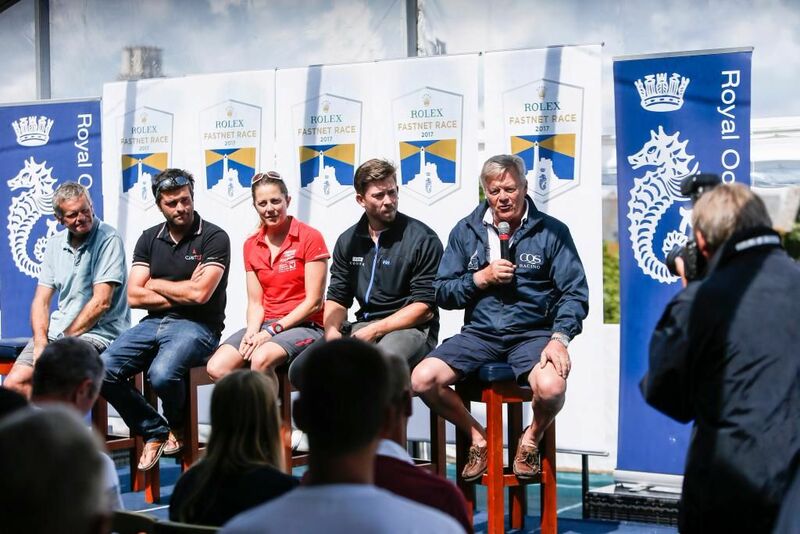 Join over 8,000 armchair sailors and test your skills on the same course as competitors in the 2017 Rolex Fastnet Race by playing the Virtual Fastnet Race. Watch out - its addictive! The Rolex Fastnet Race attracts an enormous amount of posts, photos and videos on our facebook, twitter, instagram and youtube channels. To receive all of the news and gossip from the race simply 'like' our facebook page or 'follow' the race on twitter and instragram. Don’t forget to add #rolexfastnetrace to your posts! 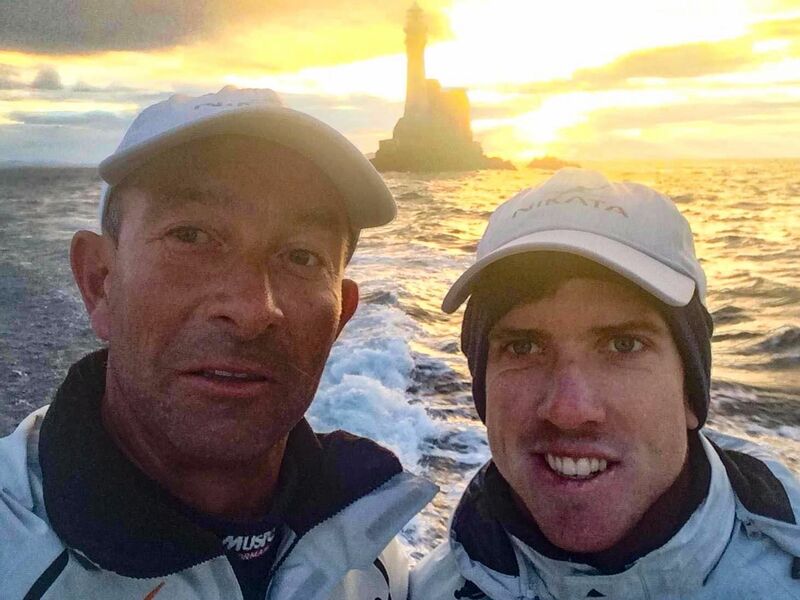 Can France make it a Rolex Fastnet Race hat trick?